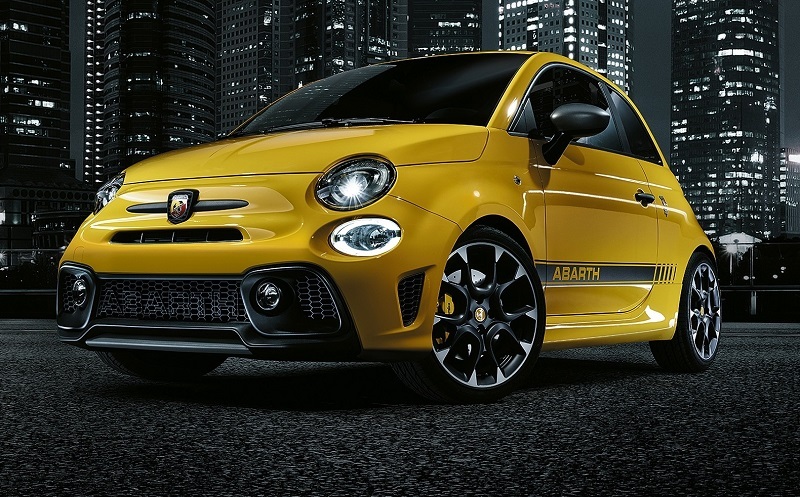 Abarth has introduced a new refreshed 2017 Abarth 595 range. The Abarth 595 slots in between the Abarth 500 Custom and high-end Abarth 695 series. 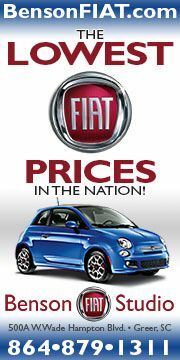 The Abarth 595 comes as a hatchback or convertible and is offered in three trim levels - 595, 595 Turismo and 595 Competizione. 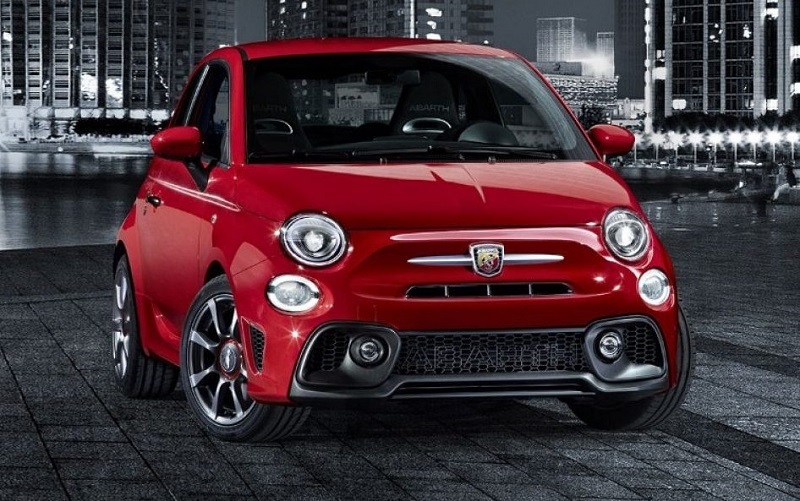 The 2017 Abarth 595 series features redesigned fascias front and rear plus numerous trim and performance enhancements. The three trim levels correspond to three levels of engine power and tuning. 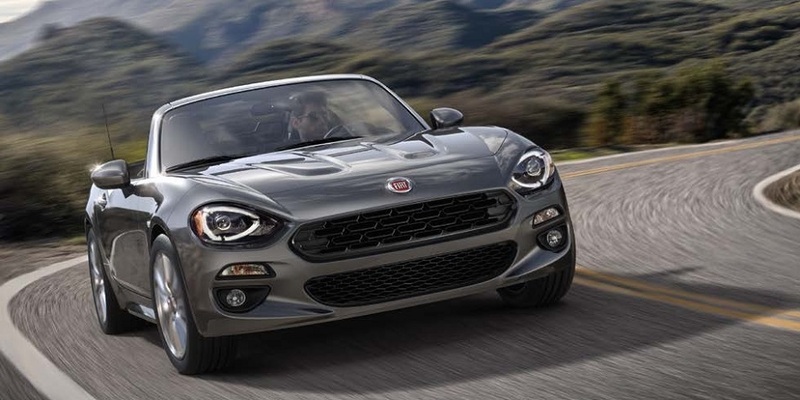 The horsepower rating of the 1.4L T-jet engine has been bumped up 5 HP over last year and now comes in at 145 HP for the base 595 and 165 HP for the 595 Turismo. 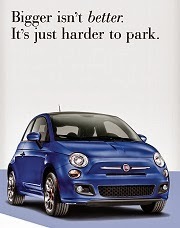 Competizione models remain at the same 180 HP rating as last year. 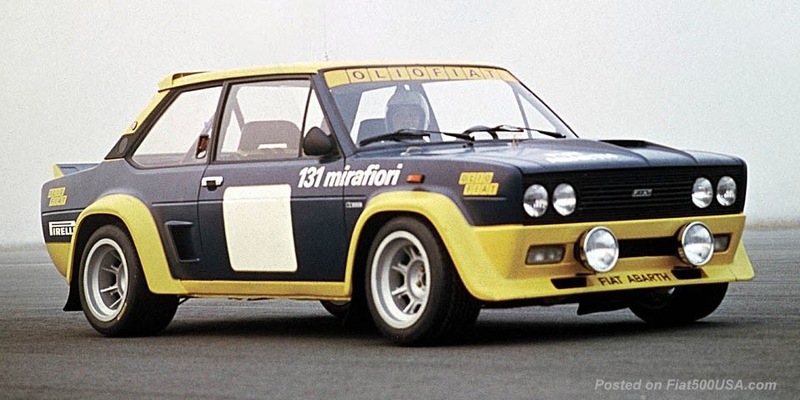 The Competizione utilizes the same upgraded Garret turbo North American 1.4 l MultiAir Turbos use and not the standard IHI turbo used in base and Turismo models. A significant development is the availability of a mechanical limited-slip differential. Called the Abarth D.A.M., the limited-slip differential is part of a new Performance Pack and available on the new Abarth 595 Competizione with manual transmissions. The Performance Pack includes 17" Supersport rims, carbon shell Sabelt leather/Alcantara seats, carved aluminum 595 badge and red, white or gloss black exterior stripe package. With luck, this limited-slip will make it to North America. Fingers crossed! Koni FSD shock technology is used in the 595 series. An interesting detail is the base and 595 Turismo uses Koni FSD in just the rear while the US Fiat 500 Abarth uses Koni FSD in just the front Struts. Competizione models use Koni FSD all the way around as well as Brembo four-piston aluminum monoblock fixed front calipers with 305 mm drilled and vented discs. The Brembo calipers come in red or optional grey, black or yellow. Standard calipers on Turismo models are black, with red or yellow listed as options. The most important change as it relates to North American consumers is the revised front and rear sections of the car, which we may eventually see on our cars. Performance tuners will welcome a new front end with oversized air intakes that improves heat management in the engine compartment and increases cooling capacity by 18%. 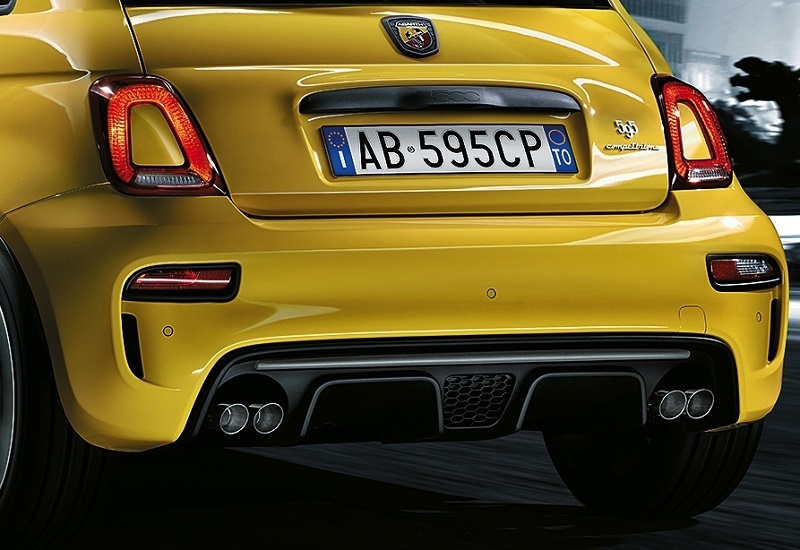 The rear of the Abarth 595 sports a new and more pronounced rear diffuser. Each trim level has specific bumper insert trim - matte black for the 595, matching body color for the 595 Turismo and something called tar cold gray on the 595 Competizione. 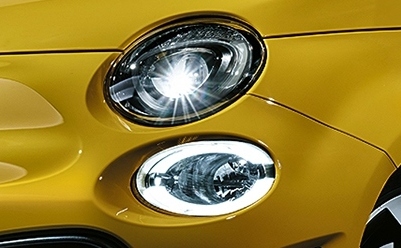 The new car inherits from the redesigned Fiat 500 its polyelliptical headlights and LED daylight running lights as standard equipment. Xenon headlights are optional. A new 17-inch alloy wheel design also debuts. The Granturismo rims are 7% lighter and have over 50% more ventilating surface for better heat dissipation which benefits braking performance. 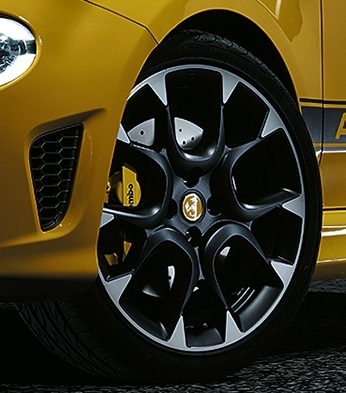 These wheels are standard on 595 Turismo models. Trim changes include satin chrome trim on the 595 and Turismo, new mirror caps (satin chrome on 595 Turismo, matching body color on 595 and tar cold gray on 595 Competizione) and now wider and longer side stripes (standard on 595 Competizione). 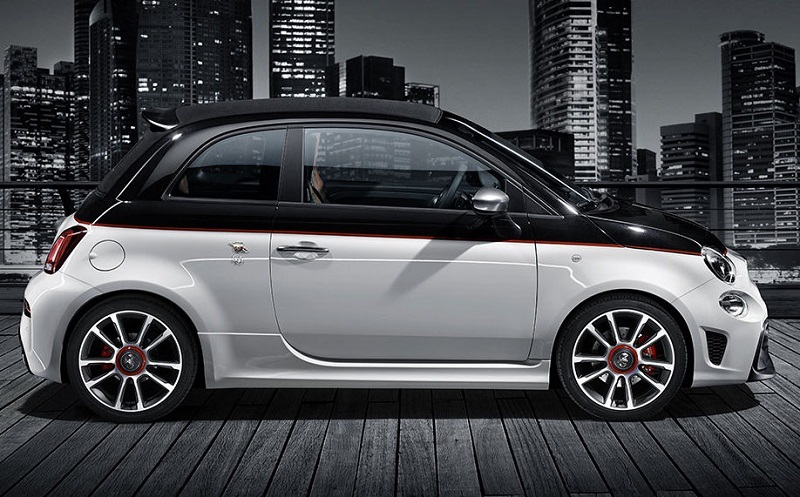 The Abarth 595 series comes in 15 body colors, including five two-tone paint schemes. Three exterior customization packages are offered that feature the Abarth side stripes, mirror caps and front and rear bumper inserts in either white, black or red. The Abarth 595 interior also gets a makeover. A new flat bottom steering wheel features a center indicator is standard, and the Competizione version is trimmed in carbon fiber and Alcantara. The dashboard is body color on 595, matte gray on 595 Turismo and tar cold gray on 595 Competizione. A carbon fiber dash is optional on the Competizione models. New seat upholstery is used throughout the renewed 595 series. Base 595 models get cloth seats, while Turismo models get black, tan or red leather as standard. Competizione models get the coveted Corsa by Sabelt seats with new graphics in either fabric or optional leather and Alcantara in black or tan. A brand new sports instrument panel uses white lighting for better visibility. The carbon dashboard fascia derived from the 695 Biposto is now available as optional equipment and may be ordered to complement the passenger compartment of the 595 Competizione even further. All 595 models get the UconnectTM 5" Radio with touchscreen and Uconnect Live services as standard equipment. A hi-definition UconnectTM 7" HD system is optional and available for the first time. 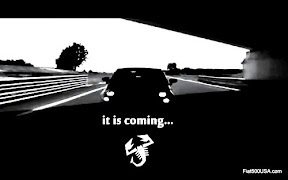 An interesting feature of the Uconnect 7" HD is it comes preloaded with points of interests to Abarth fans (Officine Abarth and other significant places for the brand). It is a sort of "poker run" where owners can visit and collect "badges" and then share results on social media. Another neat feature is Abarth Telemetry, which has racetracks preloaded into the nav system and allows owners to record their driving performance on the track. Results can then be archived, and performance can be compared and improvements made. A seven-speaker BeatsAudio system makes its appearance in the 595 series. The 480-watt audio system features a digital eight-channel amplifier, with two dome tweeters installed in the front pillars, two 165 mm mid woofers in the front doors, two full-range 165 mm speakers in the rear side panels and one 200 mm subwoofer in the trunk. 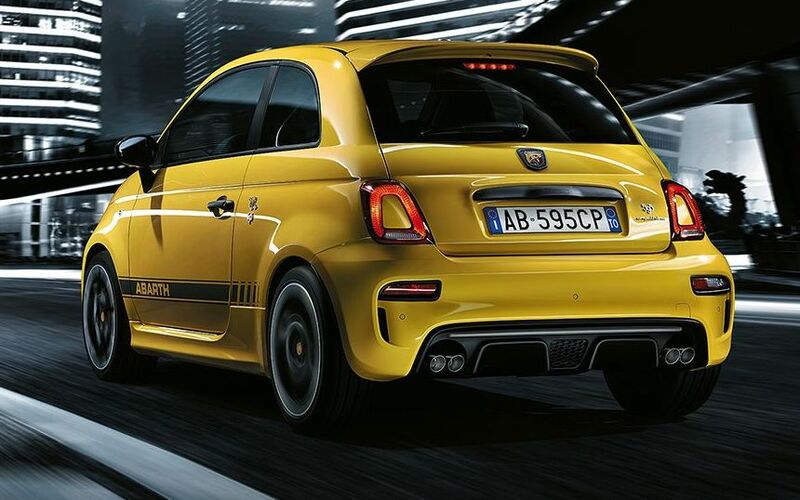 The refreshed 2017 Abarth 595 series will go on sale in Europe and associated markets starting in June. 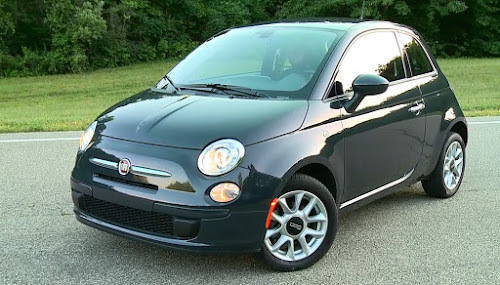 Source and images: Fiat Chrysler Automobiles N.V.
What about the transmission? Please tell me the 5-speed manual will be upgraded to 6- or even more gears? 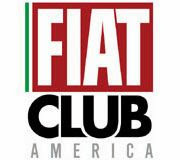 Register Now for the 2016 Fiat FreakOut!